agreement between the governments. Its aim is to ensure that international trade in specimens of wild animals and plants does not threaten the survival of the species in the wild. Database of this organization is open for public inspection here. 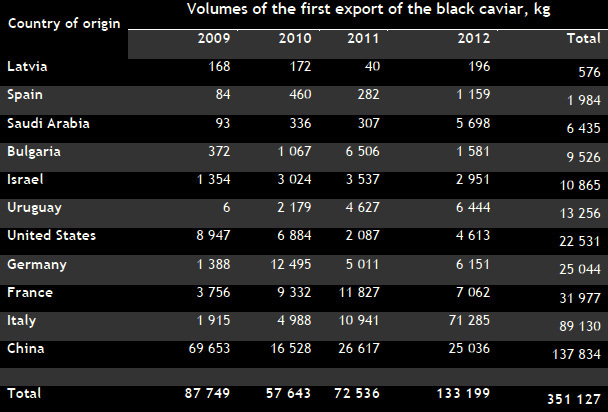 Statistics collected by this database do not register the full volume of the black caviar production but show the black caviar international trade volumes with the method of production and country of origin. 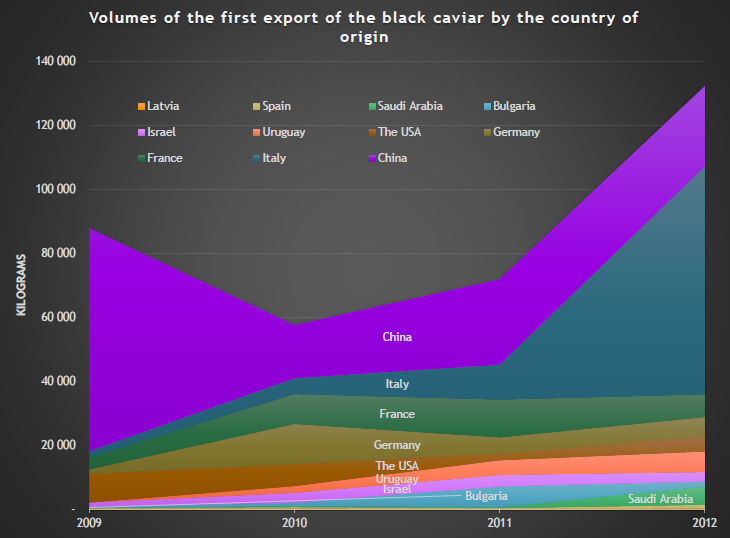 Using the data found in Internet publications, one can restore the statistics of the black caviar international trade, as well as the appearance and the increase of the black caviar production capacity on farms. “The global demand for caviar is about 1,200 tons a year, but the supply [in 2011] is only 180 tons,” says Lu Junshan, assistant to the president of Hunan Liangmei Sturgeon Caviar Science and Technology Co, a leading exporter from China. 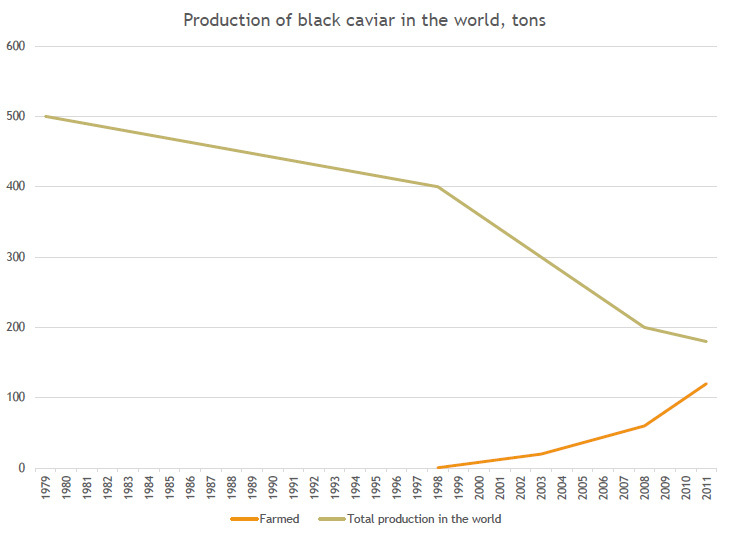 According to statistical data, in 1998 only 500 kg of black caviar was raised through aquaculture worldwide. Today  that number is 60 metric tons per year. At present  there are about 30 sturgeon farms in the world that produce roughly 20 tons Caviar per year. It is estimated that in 2010 the global Caviar production will rise to 40-50 tons. At the same time fisheries production is expected to decrease from 80-120 tons at present to less than 30-40 tons in 2010. Global demand depends on the price but varied in the past 2 centuries from 300-1200 tons per year.